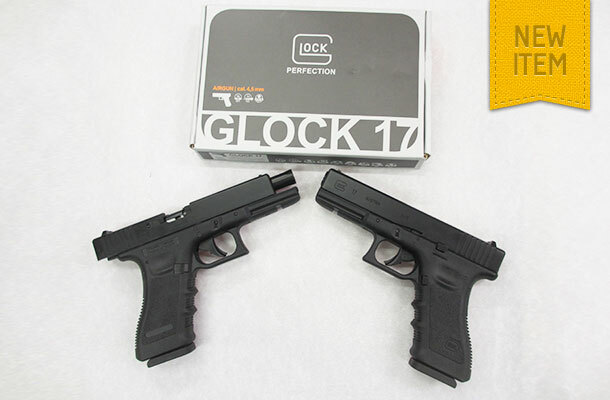 Woody’s is pleased to announce that we have just received a limited batch of Glock 17 BB Blowback CO2 pistols! The original version of the famed Glock 17 holds an important place in many weapons collections. For those who want to share the excitement of owning a Glock, the over-the-counter CO2 version is the perfect solution. This replica is fully faithful to the original, with all of its markings. But it was not made to be kept in a display case. With its heavy metal slide, powerful blowback and all-in-one magazine the Glock 17 promises hours of fun shooting 4.5 mm steel BBs.